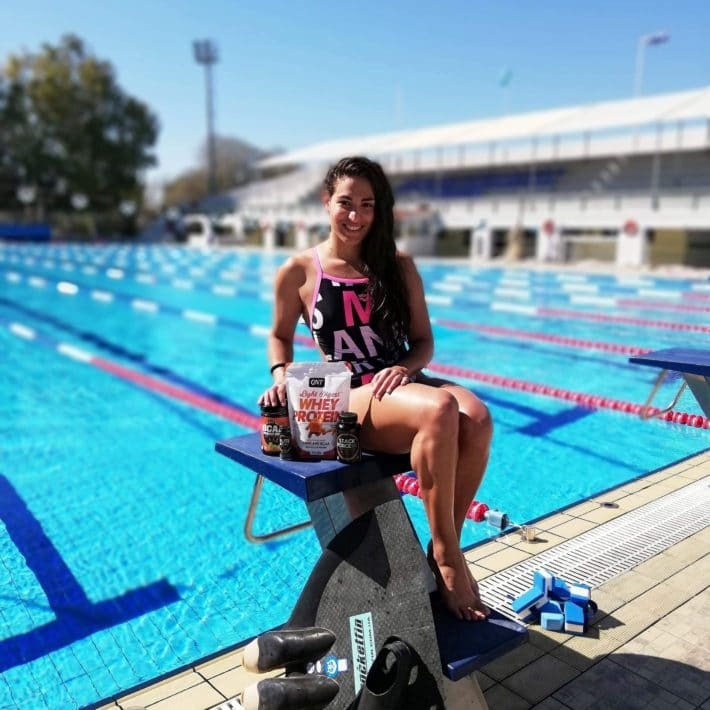 Today Finswimmer Magazine is pleased to interview one of the best finswimmers all over the World, Eirini Deligianni from the wonderful Greece! 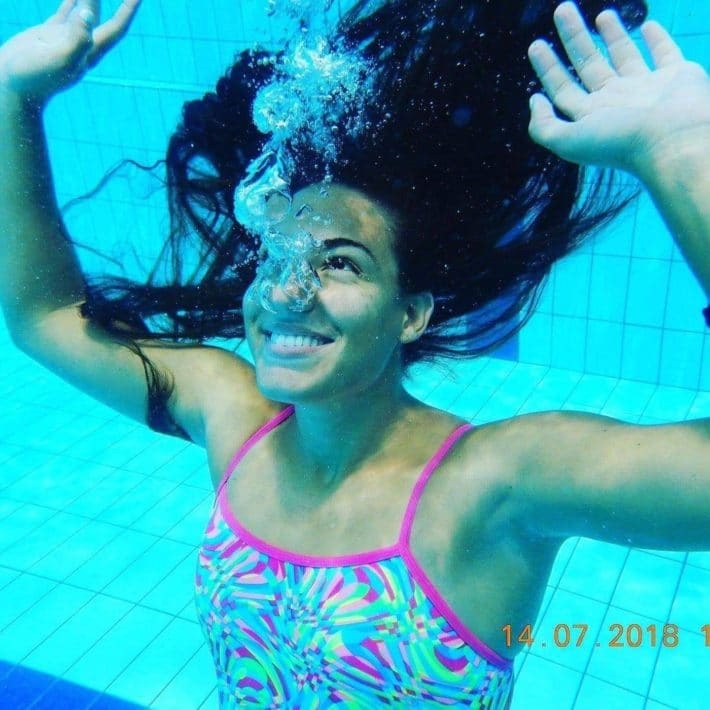 She took part at the latest South Greece Finswimming Championships 2019 in Nea Smirni, near Athens. 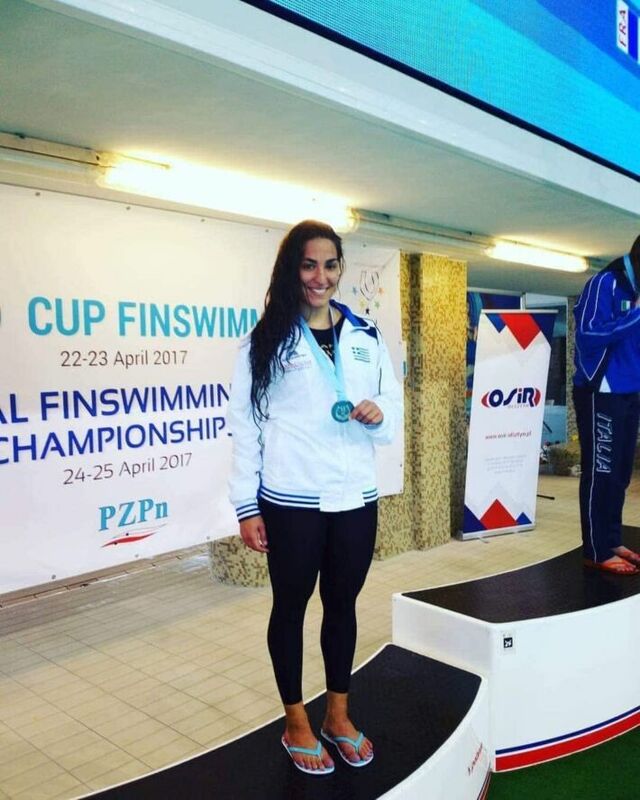 Hello Eirini, you are one of the most known Finswimmers all over the World, tell us about your career since the beginnings. I started swimming at the age of 5. In 2004 my older sister started finswimming. I would see my sister and the other kids and think that they were really cool doing that kind of swimming. One year later I became part of their team as well and in my first championship (2 months after my first training) I broke 2 national records. Then I realized that this is what I wanted to do. In 2008, I became member of the national team representing Greece. In 2012 I decided to take a break for personal reasons. I didn’t participate in any event for a couple of years. In juniors categories i had a few good results, 1 world junior record(100sf) and 2 european(50sf-50ap). 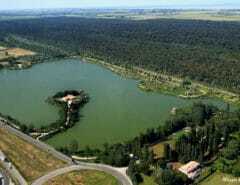 I was also in the finals for World and European senior championships. After my long break I realized that my life had changed a lot. I really missed finswimming and that’s why in 2016 I started it again. One year later , in 2017 I became part of the national team again. What do you do in your life? What kind of job/studies? How do you mix work/study and sport? I studied at the University of Athens. I majored in primary education. I thought studying to be a primary school teacher would be fun. At this moment I am working as a swimming coach for toddlers … and that’s why I haven’t finished my studies yet . Now because of work and university I only have only 4 days per week free to practice. Tell us your best finswimming results, how did you feel the day you swam it? Who are your favorite Finswimmers and why? Do you have a point of reference? From man I would say Tsourounakis Ioannis because it was a role model in our country when i started finswimming. He was one of the best finswimmers in Greece and a wonderful person. 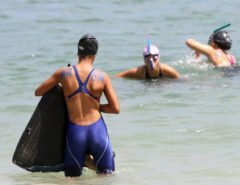 What do you like about Finswimming? And what do you hate? I love this sport so much and that’s why I can’t think of something that I hate/dislike about it. I do really love the speed and the way I feel when I swim. 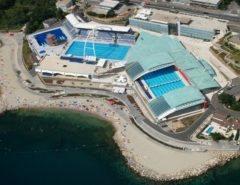 If you could do something, what would you do to let Finswimming grow? If that’s not possible,then I hope to be in the swimming pools like a coach or to be part of the finswimming society . I would like to thank my coach Petros Haidaris because he is by my side for many years now and he supports me a lot ! Another big thanks to my family, my team no.amfitheas and my sponsor Qnt Greece because without them I wouldn’t continue.. For the end I would like to advice everyone to do what makes them really happy ! I suggest you to not quit after a bad result or even failure. The passion that you have for what you do and your character is way better than a medal or a record.